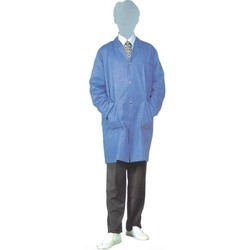 Our product range includes a wide range of anti static cpe shoe cover, anti static cloth shoe cover, anti static apron, anti static cleanroom bodysuit, anti static gloves and esd safe apron. 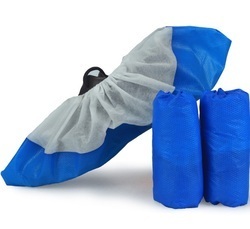 Our company is involved in manufacuring of Anti Static CPE Shoe Cover (Disposable). The extensive array is appreciated for the properties like smooth finish, lightweight, easy to fold and eco-friendly. Our all disposable items are manufactured strictly on the existing quality norms of the industry. Covers protect various items of domestic and commercial use from external factors such as scorching heat, rainfall, chemical reaction and others. We have gathered a huge customer base in this domain by presenting a comprehensive range of Anti Static Cloth Shoe Cover. One piece, unlined, no topstitch. Our company holds expertise in designing superior range of ready made garments such as Anti Static Cleanroom Bodysuit. 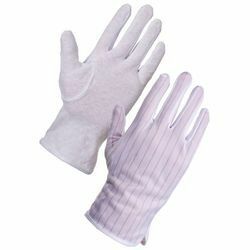 In order to meet the variegated demands of the clients, we have come up with a wide range of Anti Static Gloves. Extensively used in various industrial sectors, we tailor this range using optimum-grade raw-material that is sourced from the authorized vendors of the industry. Made as per the industry set quality parameters, this range is stringently checked before being dispatched in thew market. 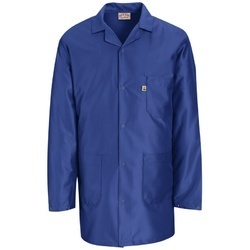 We are offering ESD Safe Apron. Fit for both Man and Woman. Blue, White, Green Pink & Yellow Colour.